James (Jimbo) White from Ventress Louisiana captured an alligator that weighed 760 pounds on Saturday, September 14, 2013. James loves to hunt and fish and has been a Pointe Coupee Parish native all his life. 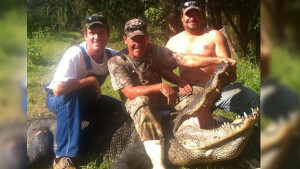 Jimbo White found out that his alligator weighed 33 pounds more than two alligators caught in Mississippi earlier this month. The state does not record the weight of an alligator, but they do record the length. 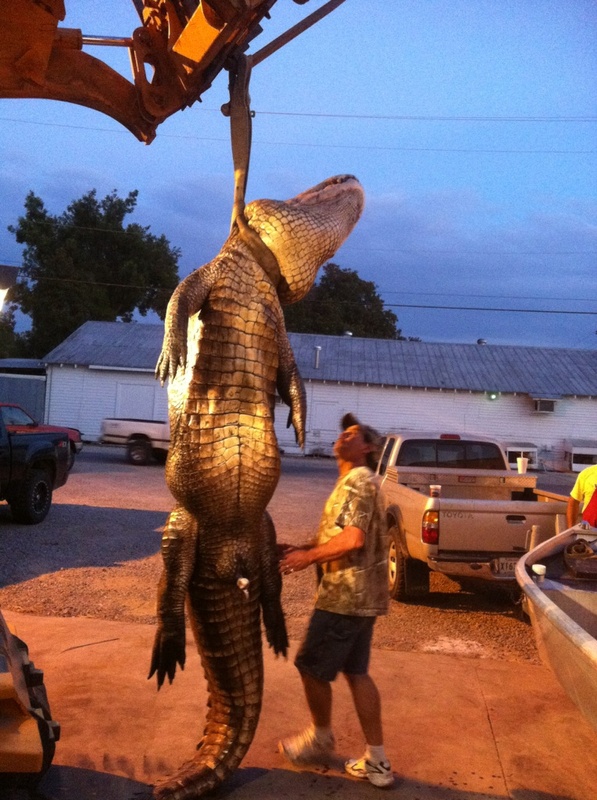 The longest alligator ever caught in Louisiana was reported to be 19.2 feet long. 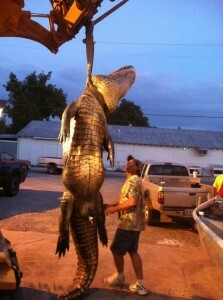 James has alligator hunted for quite some time now, but he says that this is the biggest alligator he has ever caught. He has filled 21 tags so far this year and still has 16 more left to go. Although the weight of an alligator is not worth anything, James said he feels its worth something to him and that includes his bragging rights. 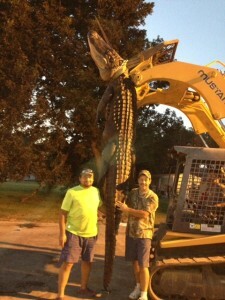 He said that the alligator’s legs were bigger than his whole body and he had to get a tractor to haul him to the processor. James White is an Engineer Technician and is employed by the Department of Transportation and Development. His office is located on the second floor at the Julien Poydras Arts & Museum Center in New Roads, Louisiana.